At Haydel, Biel & Associates, we’ve spent more than two decades providing values-based financial planning to individuals, professionals, and families in all stages of life. Our goal is to move families closer to achieving their goals and dreams regardless of where they are in their journey. We work together to provide a financial plan that’s easy to understand and realistic to carry out. Our focus on values-based planning means that we care about your passions and dreams, not just your wealth. What sets us apart from other firms is that we don’t just talk about your goals and investments but we work to understand the why behind them. It’s our job to help coach you as you strive to achieve your own definition of success. We believe values-based financial planning can make a significant impact on your financial future. In this series, we will be sharing examples of how we’ve used our unique method to help some of our clients. Mark and Diana are a married couple in their early 40s. They have two children; Samantha, age 10, and Mario, age 8. They own a home, earn over $400,000 a year and are high achievers, great savers and have been doing their own financial planning up until this point in life. Like many professionals, this couple knows they have done well so far, but wonder how they can improve their financial situation while spending more time doing what they value most in life. They desire to share more quality time with family to create memorable experiences while pursuing their passions. Specifically, they want to see Samantha excel in her swimming with the hopes of her obtaining a scholarship to Diana’s alma mater USC. They want to invest more in Mario so he can pursue his passions for boxing and soccer. Their family bucket list includes taking four family adventures a year and volunteering as a family for a non-profit organization at least three times a year. On top of that, Mark and Diana want to ensure they work no more than 40 hours a week. Mark and Diana both have individual passions that they want to invest their time and money in. Mark wants to volunteer as their church’s youth pastor, and Diana would love to serve on the board of the local Humane Society. Together, they dream of starting a scholarship fund for underprivileged youth and generously donating $10,000 a year in scholarships. Financially, Mark and Diana want to ensure they have the money to travel, pay for their children’s college education, and support charities. They also dream of retiring early at age 55 with $100,000 in yearly retirement income. If either of us were to pass away prematurely will our family be okay? 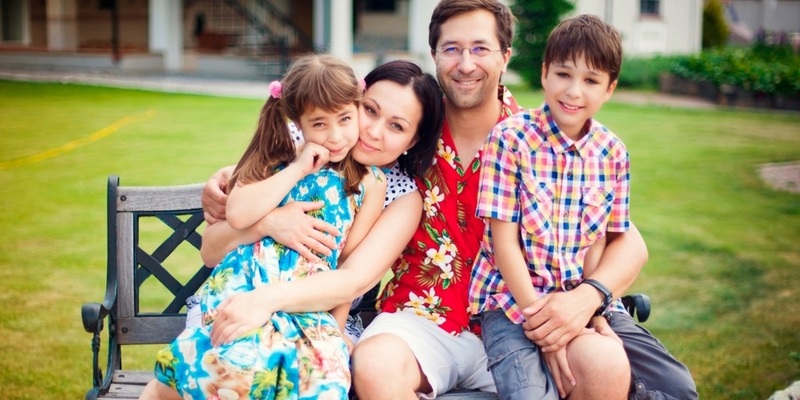 Do we need to update our life insurance policies? We’re maxing out our 401(k)s, but will this be enough to reach our goal of early retirement? Is there anything else we can do to save for retirement and simultaneously minimize taxes? Our investments have been doing well but our friends say we should also invest in real estate. Is that something you can help us with? Saving an extra $30,000 per year for their retirement. Establishing backdoor Roth IRA’s for future tax-free income during retirement. Opening and funding UTMA and 529 accounts to save for their children’s college education. Advising on what real estate alternatives to invest in based on their risk tolerance and timeframe. Repositioning some of their cash reserves into short-term tax-free bonds, increased monthly cash flow, and decreased taxes. Addressing the need for additional life insurance by advising on various insurance proposals. Reviewing their wills and trusts to ensure guardians, trustees, and powers of attorney were all current, along with other relevant details. Starting the process of creating an annual scholarship fund. With their new plan in place, the couple feels much more confident in their financial future. While they had done well planning on their own, working with an advisor allowed them to have their questions answered and take a step back from some of the more time-consuming financial tasks. As part of a proactive process, HBA wealth focuses on understanding your personal circumstances, addressing your concerns or fears, and creating strategies designed to help you achieve your goals. We specialize in helping a diverse range of clients facing unique needs and situations. If your life situation seems similar to the Lopez’s, or you’re facing an entirely different set of challenges, I encourage you to reach out to me. I’d be happy to evaluate your situation and share how I can help. Contact me at (626) 529-8347 or email me directly at r[email protected].